Films Division, Ministry of Information & Broadcasting, Govt. 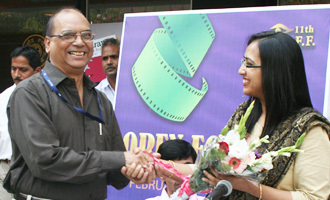 of India, organized the ‘Mumbai International Film Festival’ (M.I.F.F) for Documentary, Short & Animation Films from February 3 – 9, 2010. Ms. Mayura Amarkant, Chief Course Coordinator of MET IMM was the representative on behalf of MET at the eminent MIFF.